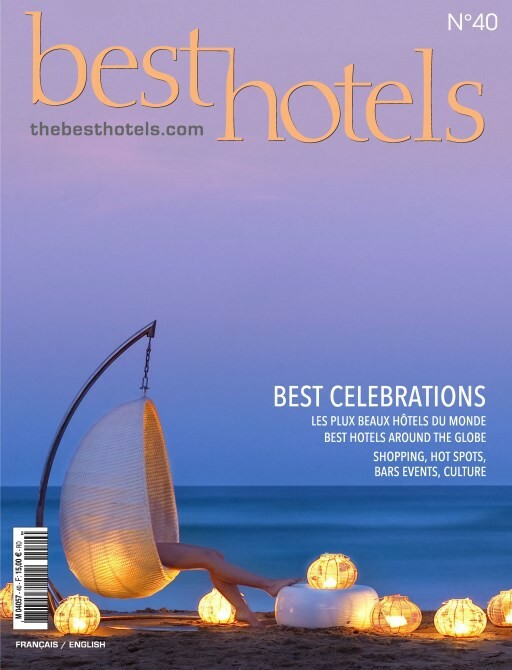 Created in 2004, the Best Hotels Magazine is a prestigious bilingual French-English large format deluxe magazine. Our web site gathers over + 664,000 international regular passionate readers. They are epicureans and passionate in high-end quality travel experiences and state of the art technologies. All those Best Hotels Medias have been conceived to share with you our passion for destinations and exceptional places around the world. This website is a unique concept being both, a rich source of information and a comprehensive guide to exceptional hotels. On the other side, our best research tool allows you to find the hotel of your dreams in every corner of the world and for any opportunity, by city, by country or using our world map. Each hotel as been selected according to criteria based on quality requirements such as place, reception and services, room equipment and quality of the bed, design, breakfasts and restaurants, and the special extras and experiences that make it a best hotel ! … and for now, just discover and enjoy! 76-78 Champs Elysées, 75008 Paris, France.